MediCheck is a quick and easy way to verify the cleanliness of washer disinfectors, dental tools, and surgical equipment in support of infection prevention and control. 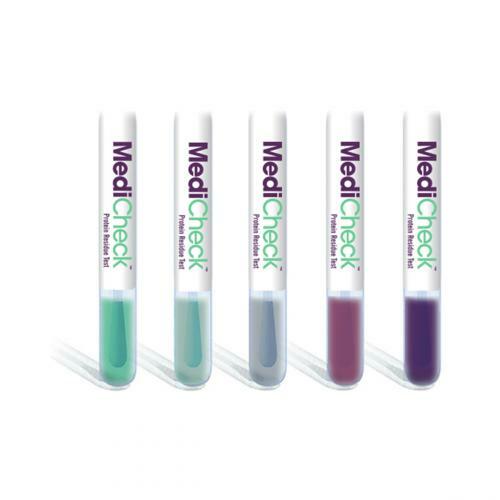 MediCheck detects any protein residues left on a surface after cleaning. By simply swabbing the area and activating the device, you release a reagent that turns color, providing a qualitative and semi-quantitative result of the protein levels on the surface: green means clean and purple means re-clean. The more protein present, the quicker the color change to purple and the darker the color. 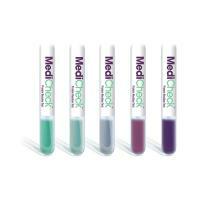 MediCheck quickly validates surface hygiene, allowing immediate corrective action to be taken when necessary.